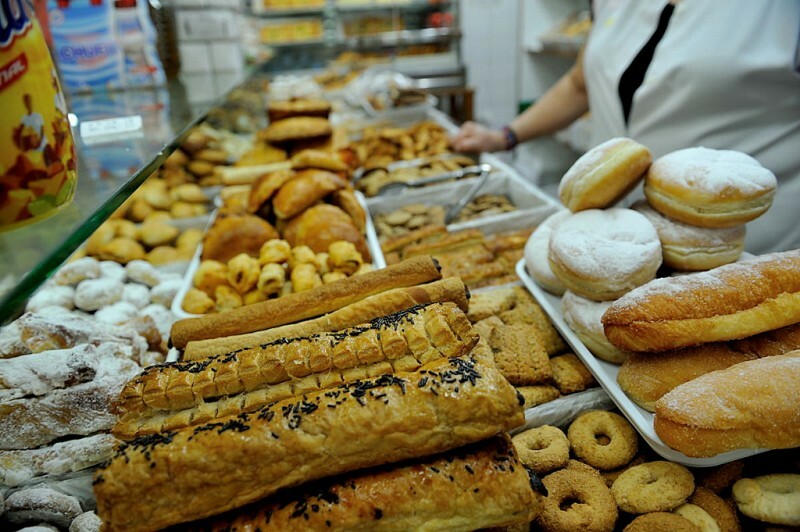 It can be confusing to talk about the churches of Yecla because the most important ones go under a variety of different names, and the Iglesia Vieja (old church) is no exception. Officially this Gothic/Renaissance-style building, which is located between the Town hall and the Santuario del Castillo in the higher part of Yecla, is known as the Iglesia del Salvador or the Iglesia de la Asunción, but it has been referred to as the Iglesia Vieja since the completion of the Basílica de la Purísima (the Iglesia Nueva, or new church) in 1868. 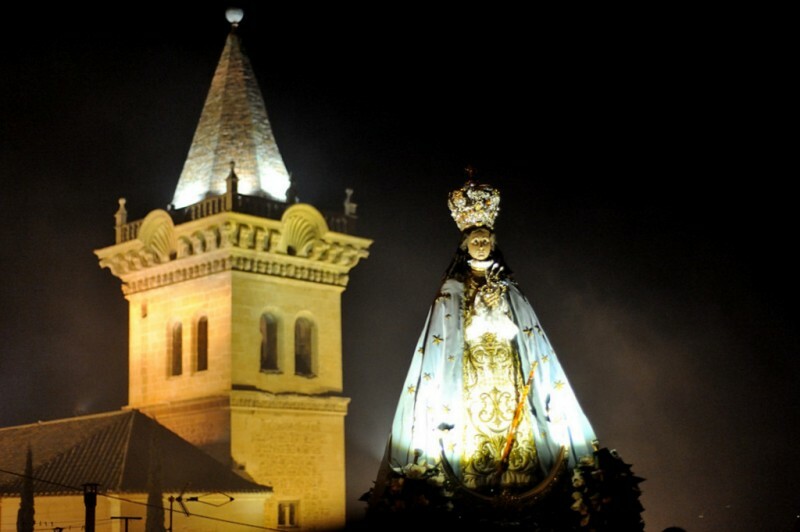 At present it is no longer in use as a place of worship, and has been ceded by the Diocese of Cartagena to the Town Hall of Yecla, who have put it to use as a museum dedicated to the local Easter Week processions. 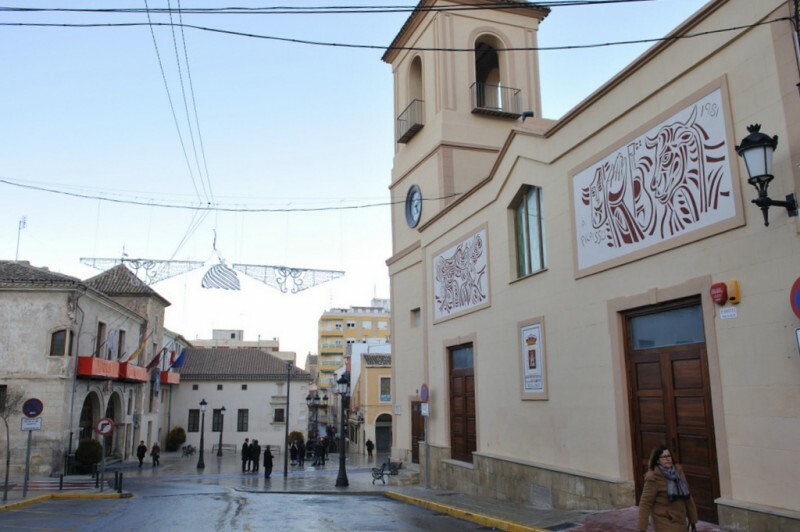 The two churches referred to here, the “new” Basílica and the Iglesia Vieja, are without doubt the two most emblematic buildings of Yecla, and their contrasting shapes (the dome of the basilica and the ornamental tower of the Iglesia Vieja) stand out on any panoramic image of the town. 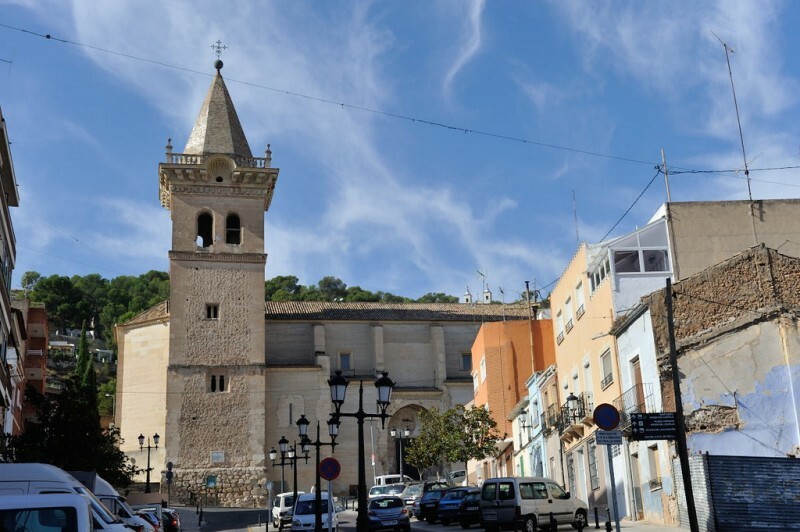 Work first began to build the church in the centre of the old town of Yecla between 1508 and 1512, and when it was completed and consecrated in 1540 the figure of the patron (the Santísimo Cristo del Sepulcro) was transferred from the chapel of the castle. 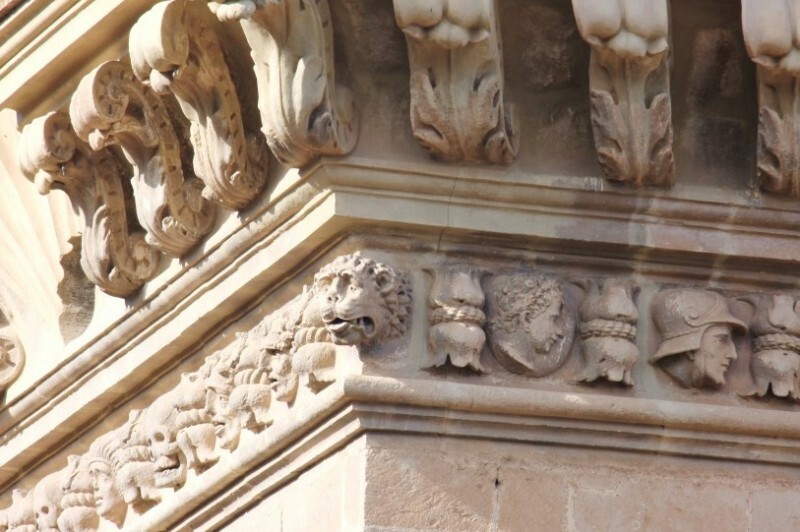 The exact dates of what happened and when it happened during construction are not clear, but the style of the columns suggests that they date from the 1530s. What is clear is that the church was built in various stages, the first of them including the central part of the building and the side niches and the base of the main tower – this is unusual, because during the Middle Ages and Early modern period it was customary to build the “business end” of churches first, creating space for the altar so that services could be conducted. After 1540 came the apse and the rest of the tower, while the choir was created later in the 16th century and the sacristy appears to have been added later still. Neither is it known for certain who oversaw the construction, but there are clear signs that the same artists and stonemasons were involved as in the Iglesia de Santiago in the town of Jumilla: the influence of Quijano can be seen in details of the apse and the choir, for example, and the decoration in the choir is typical of the late 16th century in Murcia and shows the characteristics of the work of Vandelvira. Unfortunately the Iglesia Vieja was one of the victims of the Spanish Civil War, and was burnt and ransacked in 1936: this was because the Church, along with the Army and the Monarchy, were held by some to be the enemies of the proletariat, and many religious buildings all over Spain were reduced to ashes and rubble. The losses included the magnificent Renaissance altar screen, the archives, the sculptures and paintings and the “lignum crucis” (or fragment of the Cross on which Jesus was crucified) which had been presented to the church in 1666 by Father Francisco Muñoz. Prior to the Civil War this holy relic was used in various religious services, along with another reliquary containing some of the bones of San Pascual Bailón. Not until 1986 was the first restoration work undertaken, while archaeological digs took place in the neighbouring graveyard in 1986 and 1989, and unfortunately it has been necessary to consolidate the structure in some places by the use of concrete. 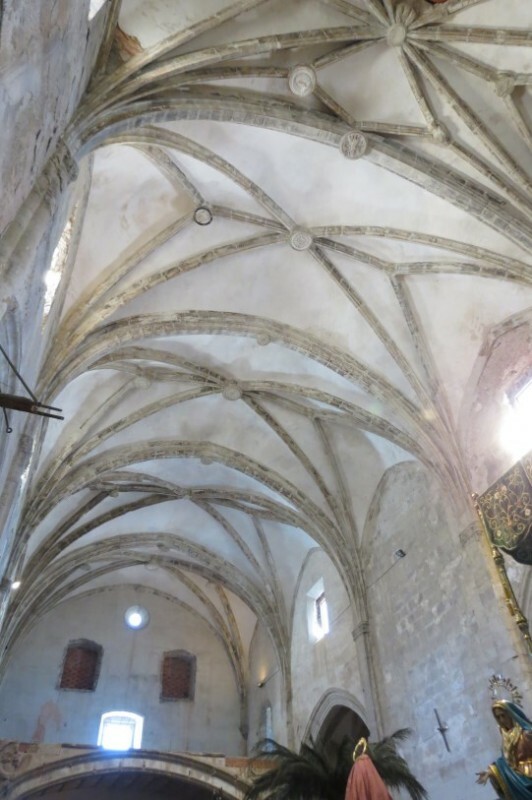 This is a shame, but the restoration was successful and eventually, over 50 years after the last Mass was celebrated here, the church was able to participate once again in the local Easter celebrations and others in Yecla with a religious theme. 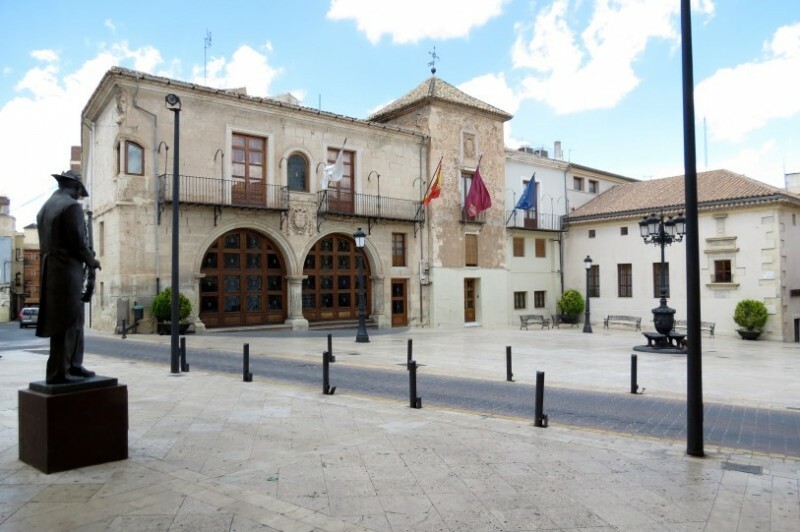 In 1982 the building was leased for 99 years by the Diocese of Cartagena to the Town Hall of Yecla, and conditions were established for it to be maintained and restored. 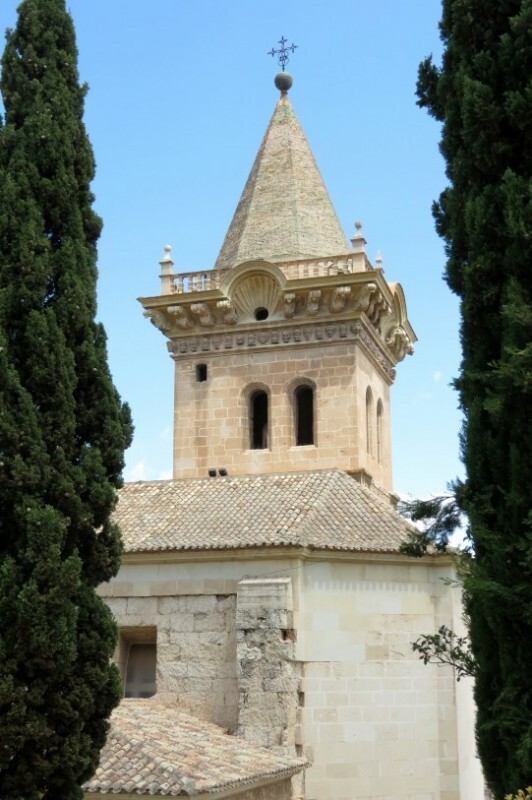 The Iglesia Vieja in Yecla is mainly of interest because of the juxtaposition of Gothic and Renaissance styles, and this is especially apparent in the decoration of the tower, where on the upper levels there are sculpted representations of the different social strata in the still largely feudal society of Spain in the 16th century. 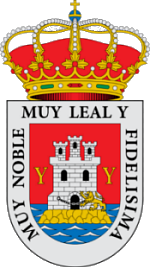 On the northern side there are seven knights, representing the nobility of the century, while on the south are four heads: three of these are men, and illustrate the phases of youth, maturity and old age, while the fourth represents a lion. Two other faces wear expressions of suffering, but it is not known what they represent: perhaps the hard work which went into building the church?! On the eastern side are the faces of two women, possibly the Virgin Mary and Mary Magdalene, while on the west are figures representing the clergy. At the top of the tower a large iron ball is suspended: during the years of neglect after the Civil War this fell into the nave and through it to the crypt, but it has been returned to its original location as part of the restoration. 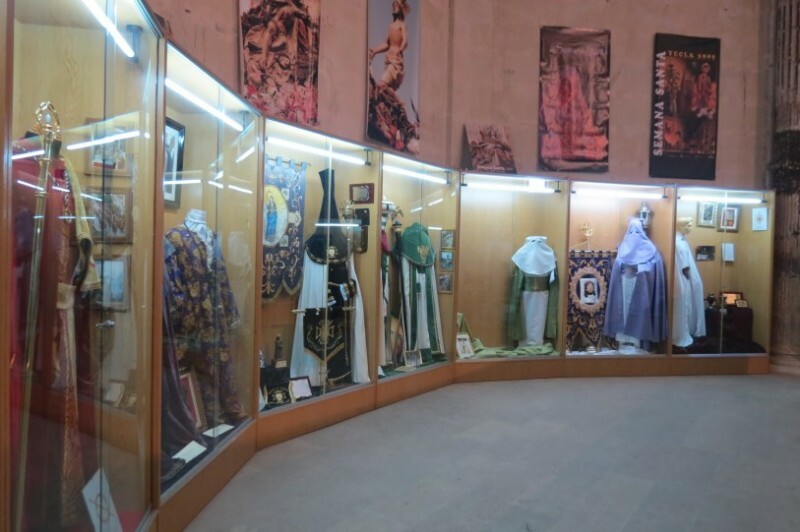 Among the works of religious art housed in the church Iglesia Vieja – and they are plenty, as the building is now used as a museum - are 14 processional tableaux belonging to the typical style of Murcia and Valencia, along with a selection of tunics, standards, banners, crosses and other items used by the brotherhoods who carry them through the streets. 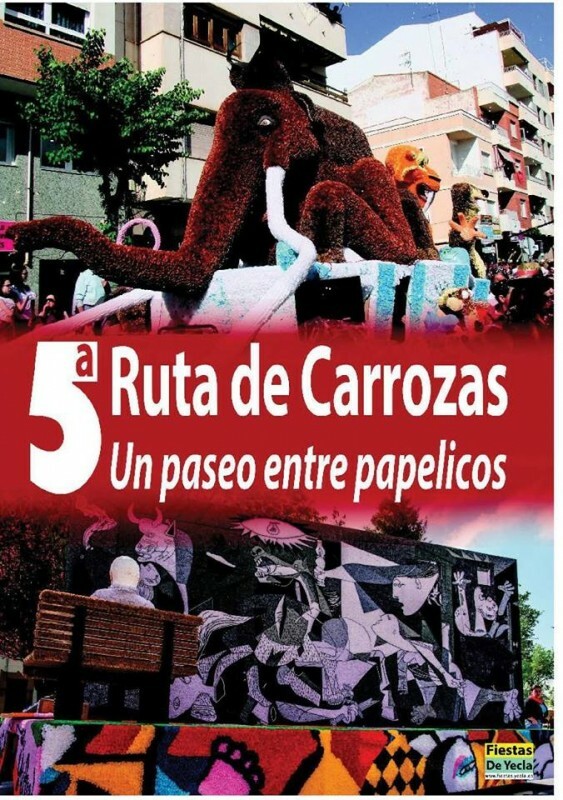 The most important tableau housed here is the “Paso de la Lanzada”, which belongs to the Cinco Llagas de Cristo brotherhood, although their main figure, the Cristo de la Misericordia by José Lozano Roca, is in the Basílica de la Purísima. 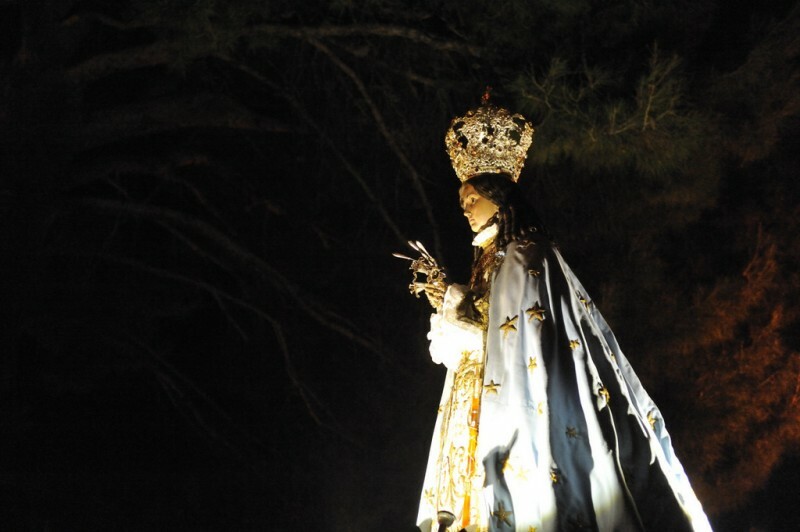 Others belonging to this brotherhood are the Virgin Mary, Mary Magdalene and a Roman soldier, and Miguel Torregrosa’s Saint John, dating from 1943.